← What Texture can you feel Fosters ..?? 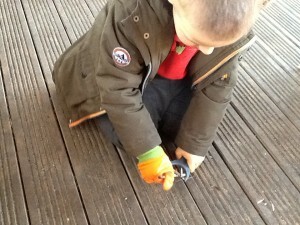 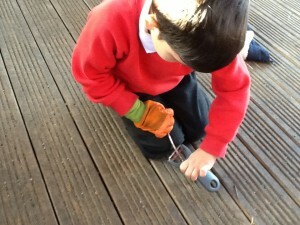 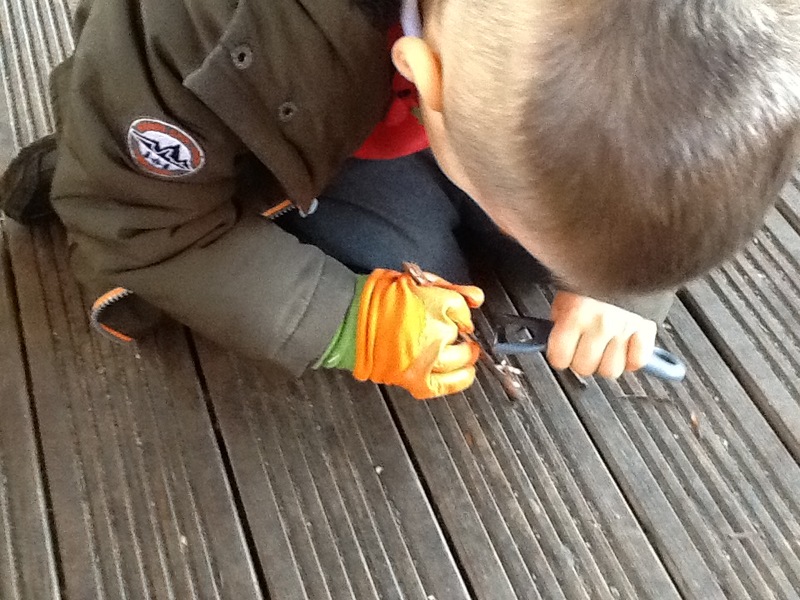 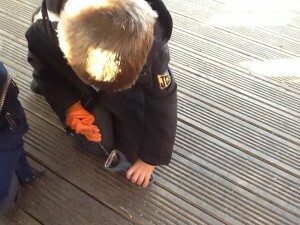 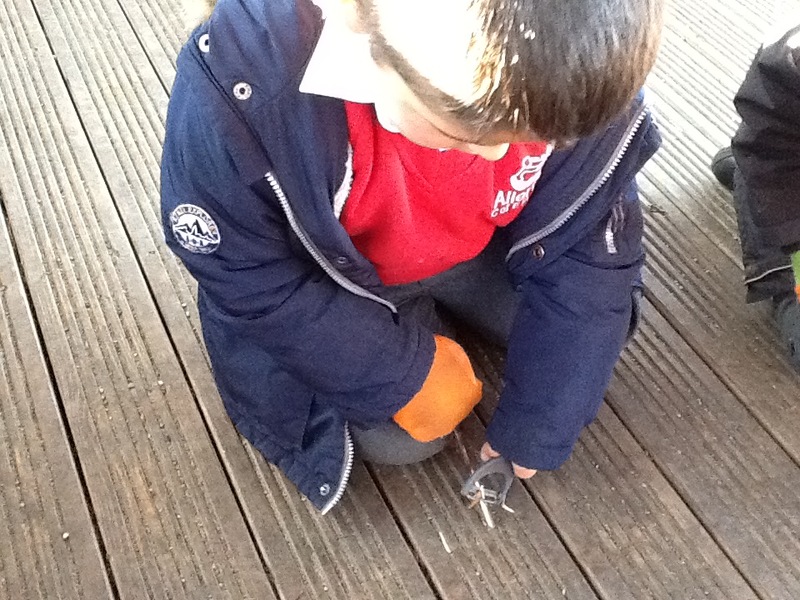 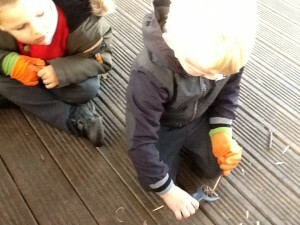 Today we are doing something very exciting , we are learning how to peel using our material in the woodland. Third Step : Using your peeler place your thumb at the back of the peeler and curl your four fingers around it ready to peel. 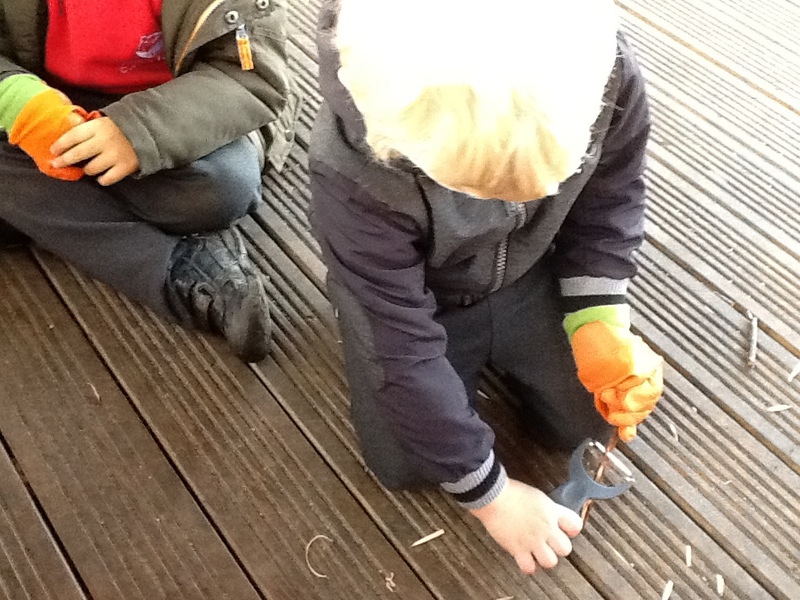 Finally step: Place your peeler at the top of your stick and begin to slowly peel down making sure your fingers our out of site.